The war for the soul of the Republican Party is heating up. Or, more appropriately, the war to give the Republican Party a soul has skipped a few steps to a new level recently. The actions of a formerly Republican senator and governor made it obvious that the retention of position and power was higher on their agenda than following and actually representing the people. Perhaps I should not have enjoyed the spectacle of Arlen Specters’ political demise as much as I did, yet the whole sordid drama of a man leaving a party that had been so good to him over the years and still meeting the defeat he had hoped to avoid, renewed my hope that there is still some justice in the world. Now seeing the same drama taking place in Florida gives me even more hope and confidence that the founders “firm reliance on the protection of Divine Providence” was not faith misplaced. However, as much as they relied on Divine Providence, they still had to pick up arms and drive the British army from our shores. They did, however, understand that this Divine Providence would ensure their victory, even in their darkest hours. As imperfect humans, they did their best to be sure they were on the side of their creator which gave them the rights they were defending for themselves and their fellow countrymen. This needs to be our vision as well as we, having achieved some preliminary victories in primaries, move forward to secure the general election outcomes. The progressives of the ruling class in Washington are gleefully watching and hoping that the battle within the supposedly small government party can be fragmented by those who actually appreciate and want to solidify this heritage and those with no particular political doctrine other than that of position and power. Having been burned by the real people who identify themselves with his party for his ill-advised comments about Christine O’Donnell, Karl Rove is now at least giving lip service to the popularly chosen candidate for the Senate in Alaska. By way of personal observation, they lacked the passion and vitriol of O’Donnells’ chastisement. He is advising, at least publicly, Lisa Murkowski against running a write in campaign to keep the seat she “inherited” from her father. She says she is “listening to my constituents”. We can pretty well reject this out of hand as she is a member of a club where this is just never done. If we are to go by past experience, we must look for another reason. 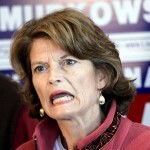 This move by Murkowski is breaking faith with the people of Alaska. By running in the primary, she submitted her fate to the voters and they chose someone else. By her actions, she is saying that what Lisa Murkowski want takes precedence over what the people want… but then, we already knew that and so did the Alaskans. Efforts like this never succeed in anything more than siphoning off votes from the legitimate candidate for the office. Could this be her objective? Why would she do this? Why would Mike Castle, as of this writing, still not support Christine O’Donnell? Why would Charlie Crist reject of his historic party and choose to run as an independent. The answer is that these, and many others, do not want to see a small government, conservative agenda taking hold in our country… and neither do the puppet masters to whom they are really accountable. Despite claims by Rove that he wants to see Republicans win, he, Krauthammer, and so many others are uncomfortable with principle driven candidates who do not follow their advice on going along to get along. They do not want people in their back yard who will question the propriety and constitutionality (if it matters anymore) of programs such as No Child Left Behind rather than just promote the idea that Republicans can run them more efficiently. This appears to be just be another in a series of moves designed to thwart the will of the American people. Some party leaders would rather keep a firm grip on a minority party than let it become a true majority party accountable to the riffraff known as the American people. We cannot be blind to this. The political process is something new to many tea partiers, most of whom are unused to operating in an environment of deceit and deception. We need to be wary of those who would befriend us… of those who tell us Rome wasn’t built in a day and we need to be patient… of those who would try to clue us in to “political realities” that we need to deal with. While there are some genuine good guys inside the beltway, those entering this arena, and those of us who have been around a while need to follow the advice we’ve been given in Matthew 10:16 “be ye therefore wise as serpents, and harmless as doves.” (KJV) Those who mean us harm will be trapped by their own devices as their bankrupt philosophies become obvious to all. The tea party hopes to bring real change to the Republican party. They hope to shake up it’s leadership and restore conservative values. I hope they succeed. Whether they are successful in changing the Republican party or not, I think they can get some of their candidates elected. That alone will help. Perhaps not for long though. We elected many new Republicans in the contract with America, many of them real fire breathers. By the end of 4 years most were either discouraged and left, or were corrupted by the system. I think this country cries out for a third party to keep the other two in check. The Republican party tells us they represent family values, and talk a good game. The Democrats are obviously dedicated to destroying family values. Every small liberty the Democrats take from us is obvious to the Republican party. What family value have they restored? School prayer, the right to inscribe the 10 commandments on our buildings? None. While they do not participate in the destruction of religious freedom, they do not defend it, nor do they fight to restore what was lost. I like the Libertarian party. It has some warts, but the Libertarian philosophy is very close to the vision of the founding fathers. It is still a small party, and as it grows it’s attitudes will change. I don’t think it’s core values will.